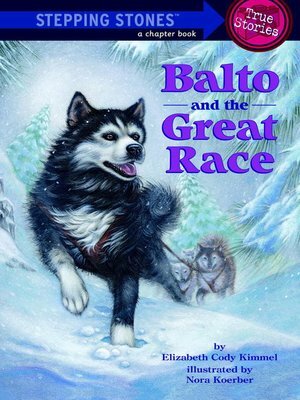 Balto has a quiet life as a sled dog--until tragedy strikes. Dozens of children in Nome become sick with diphtheria. Without antitoxin serum, they will perish--and the closest supply is 650 miles away! The only way to get the serum to Nome is by sled, but can the dogs deliver it in time? Heading bravely into a brutal blizzard, Balto leads the race for life. Elizabeth Cody Kimmel lives with her family in Cold Spring, New York. She is the author of Balto and the Great Race, Before Columbus: The Leif Eriksson Expedition, and As Far as the Eye Can Reach.